Each Tuesday we feature audio or video of an SR Contributor reading their work. Today we’re proud to feature a podcast by Katherine Soniat. Katherine Soniat’s sixth collection of poetry—A Raft, A Boat, A Bridge—is recently out from Dream Horse Press. The Swing Girl, published by Louisiana State University Press, was selected as Best Collection of 2011 by the Poetry Council of North Carolina. A Shared Life won the Iowa Poetry Prize. Her work has appeared recently in Women’s Review of Books, Hotel Amerika and Crazyhorse, among others. 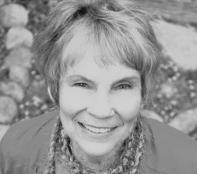 She teaches in the Great Smokies Writers Program at UNC-Asheville.